If you’re only selling on Google, you might be missing out on half of your audience, says full-stack marketer Dustin Radin when he talks about the importance of listing a product on Amazon. 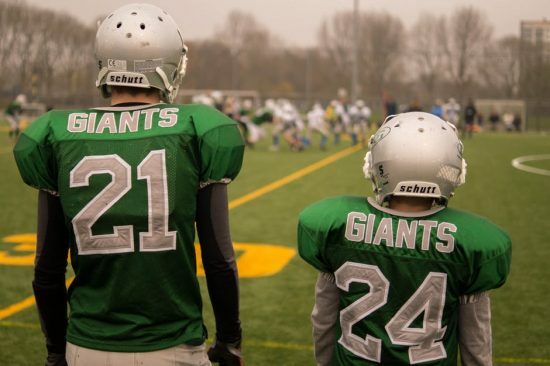 In this interview with Searchmetrics Senior Manager Digital Marketing Holly Miller, he explains why having a strategy for only one of the big two platforms might not be enough if you’re in retail. My name is Dustin Radin, and I am the CEO and also a marketer of Online Visibility Inc. We are a digital ad agency based in Miami. We specialize in digital strategy doing SEO and pay-per-click advertising. 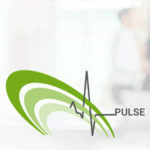 We help clients in e-commerce, lead generation, and the travel vertical. In particular, Amazon optimization, is something we offer our e-commerce clients. It’s a great opportunity right now. 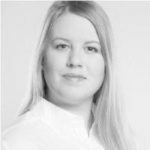 A true SEO lover, Holly draws her enthusiasm for search from a diverse set of professional experiences in online marketing from communications to creative agency work. Paired with her technical SEO expertise, she’s passionate about sharing her unique professional insight to help marketers improve their customer experience through the use of data. Information is everything: What happens online before the purchase? 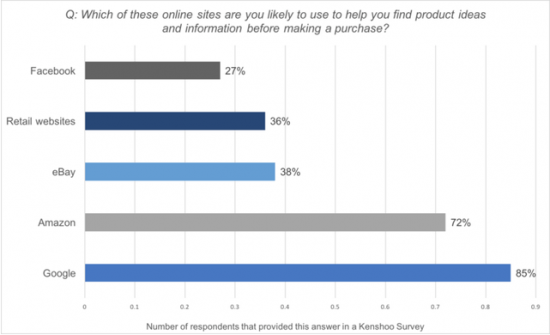 HOLLY MILLER: The numbers are close but a study cited in Search Engine Land showed which online sites people are likely to use to find product ideas and information before purchasing. 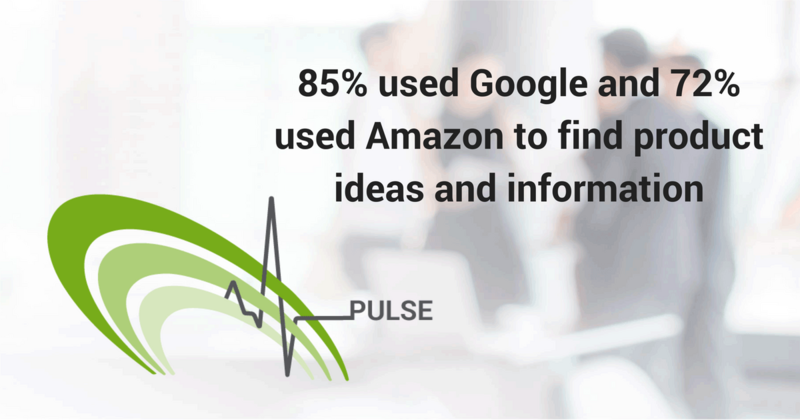 85% used Google and 72% used Amazon. Google and Amazon were the winners by a pretty wide margin. What does this tell you about what ecommerce websites can learn about on-page optimizations? DUSTIN RADIN: Exactly. It’s almost like the first step for a company with a product to sell is deciding to get onto Amazon, and then once you’re there, are you doing the right thing? Do you have a strategy that makes sense for you? HOLLY MILLER: What are ecommerce focused SEO’s doing to optimize for Google that one could take a page from that playbook and apply to success on Amazon? The nature of these searches is transactional; this person wants to buy something. What can e-commerce brands take from that and apply to their pages in Google? DUSTIN RADIN: So that’s a great question. I just wrote a whitepaper about those numbers. And in the e-commerce space, I mean Google’s under attack by Amazon, and if you look at five years ago, 80% of people who are looking for a product are going to Google as their first source, and now Amazon has caught up. I’ve seen it vary between industries, or in the study you look at. Which is why if you’re only on Google, you might be missing 50% of your audience. Another interesting aspect of this also is that Amazon is also a search engine. They have their own algorithm. So let’s say a business has made a decision to be on Amazon, all factors considered, optimizing your listings on Amazon, is SEO, but for a different search engine. So this brings me to the whole thought that I was initially like, Google organic search and Amazon, what’s the interaction. For example, if I go to Google and I type in PS4, like PlayStation 4, first I’m going to see ads. I see the actual PlayStation result, but one of the results on the first page is also Amazon.com. So what I’m getting at is that it’s not just one result. Google shows four organic results on page one from Amazon’s website for PS4. My point is that on Google’s search results page, Amazon is also ranking their pages. HOLLY MILLER: Right, on the Google SERP, Amazon is occupying some of the top spots. DUSTIN RADIN: Exactly. One of the things for ranking is how much authority does a domain have. How trusted is that domain? Those are significant factors for how a site ranks in Google’s search results. It’s almost like Amazon, which has a huge amount of trust and authority, is the e-commerce Wikipedia in a way. The reason I bring that up is because everybody knows Wikipedia ranks for just about everything in the search results. Amazon, does this in a similar way, but for e-commerce products. What I’m getting at is that whoever is doing the SEO for an e-commerce brand should really be talking to whoever’s doing the “Amazon SEO”, or the Amazon optimization because in a lot of ways you’re going to be competing for the same real estate on Google. HOLLY MILLER: Is it a good strategy to set up a listing on Amazon and also try to optimize your e-com site? Or do you think that’s cannibalizing your domain’s potential at capturing rankings and (ultimately) the sale on your own domain? DUSTIN RADIN: Here’s the thing, I think that being on Amazon is good too, because more and more people are going there; they’re skipping Google. So it’s like there’s multiple paths to entry to Amazon. One is through the front door, which is, you just type in amazon.com and boom, you’re there. And you have the optimization of products on Amazon itself, like where does it show when you type in the keyword on that site. Then you have the other method of entry, which is someone goes to Google and an Amazon result shows up, and that’s how they reach the site. I think that, because people go there by themselves and skip Google, you should be on Amazon and optimize your listing. But you should also be doing SEO on Google. I think where there’s an opportunity is that there may be some terms where your site can’t rank because it’s super competitive but because Amazon has a lot of trust and authority, you may be able to rank for that term by optimizing your Amazon listing. The thing to remember is, if the sale comes through Amazon, you also have the Amazon commission. Depending on the vertical, it may be 15%. HOLLY MILLER: It seems like a catch-22 because you need to be visible on Google and Amazon but, on the latter, part of your sale goes to Amazon. That’s tough. That’s tough to hear as an e-com site or as a business owner. DUSTIN RADIN: It’s always better to make the sale on your own site because you don’t pay a commission. But I think that that’s also why it’s important to have a good understanding of how the two work together and what the different strategies are. How Amazon interacts with the SEO done for Google means its important for the two teams doing those optimizations to talk to each other. For a very large retailer with a lot of SKU’s, that could be an advantage. For example, you may be trying to rank your own website for a particular term. You could try for six months or a year. But if it’s a super, super competitive SERP page, then you may be able to break into the top by ranking your Amazon page. At the end of the day, it’s not ideal to be giving 15% away, but I would rather have that sale than not. HOLLY MILLER: Sounds like the strategy is to optimize for both. But maybe you drive the majority of traffic to your own website using paid search and also optimizing for the organic listing in Google so that you keep more of the sale. DUSTIN RADIN: Right. Also, if you have a Google search result page and you’re in e-commerce, there’s really three ways that you can be talking to people. You have paid search, you have an organic ranking on Amazon, and you have an organic ranking for your website. I think that one of the factors is that if you don’t have a very big brand and you’re not generating a lot of content, it’s going to be so much harder to catch up to where Amazon is. Because Google trusts Amazon so if you haven’t put in much SEO effort into your website, it might take you six to ten months to get your website ranking whereas you could get your Amazon listing to rank in Google in maybe three months. HOLLY MILLER: Interesting. So potentially, you could get the Amazon listing ranking faster. When, like you said, you’ve got the 15% that you “share” with Amazon. At that point, it’s almost like the investment is better on the SEO and PPC side to draw traffic to your own domain. HOLLY MILLER: I had another random question for you that I heard at the conference. I wondered if you had an opinion or thought on it. So this is like a weird, kind of going back to your statement about the Amazon has its own algorithm. What I heard was that one of the metrics for ranking in the Amazon platform is that when people come to your page, if they don’t buy something, that can negatively impact your listing. So maybe it’s almost like the equivalent of a bounce rate, a page visit in SEO and then someone goes back to the [inaudible] and does another search, or they just close out of the browser or something like that. Have you heard of that? Is there any truth to that in Amazon’s algorithm? DUSTIN RADIN: Yeah, I mean I have, and especially the reviews. I mean, if you’re … Basically Amazon doesn’t … They want to show products to people … Or they want to show products that people will have a good experience with. So if your product has bad reviews, it’s going to hamper … I mean, it sounds kind of obvious, because obviously if your product has bad reviews, it’s going to be harder to sell, but it’s also going to affect your rankings and … It could be that there’s a metric that they’re measuring if … Because what you’re talking about like if a person views your page and buys, you’re basically talking about conversion rate. HOLLY MILLER: Effectively, yeah. Yeah, when you think about it, you’re like, okay that’s a satisfied customer, right. 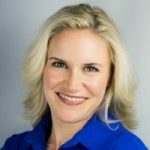 HOLLY MILLER: What are some of the “trust signals” Amazon looks at? DUSTIN RADIN: On the back end, Amazon has super strict performance metrics about how customers can be treated, and they want their customers to have a good experience. HOLLY MILLER: I think people know that when they buy something on Amazon, no matter who the vendor is that’s working through Amazon, if they have a problem, or they have the return something, the likelihood that they’re not get their money back is very small. And I think that’s the trust that Google understands, and why Amazon can take up some of those top spots. They know their customers are going to be treated well. DUSTIN RADIN: You know, that’s an excellent point because that’s a reflection of Google’s trust and why they want to rank Amazon. And why that domain has a lot of authority. Google knows if they send a visitor there, if that guy is not happy with his product he can call and complain, and they’ll probably give him his money back. But you know, one of the issues that I have with the whole using metrics like reviews to affect people’s ranking is that, and I know this from my own clients, that getting reviews, it’s like for every … If you have 50 satisfied customers, and 1 unsatisfied customer, the unsatisfied customer will definitely leave a review. HOLLY MILLER: Or let’s change the numbers, let’s say you have 50 satisfied customers, and 2 unsatisfied customers. One of the unsatisfied customers will leave a review, and then you ask the other 48 by email, following up three times, and maybe if you’re lucky, they’ll leave a review. So it’s just like one of those things where I definitely think that … I think that if someone, like leaving aside manipulation, if someone genuinely has a lot of four and five star reviews, that doesn’t mean it’s a decent product, it means it’s phenomenal. Because people don’t … When people are happy, then they just go home and they don’t say anything. What’s your take on product reviews? I’ve heard the more niche you are, the less you have to worry about your reviews. But on the flip side, if you have a generic product like, a cellphone case, you would need more of a volume, like 300 or so reviews because that’s going to give you more of a balance of social proof. DUSTIN RADIN: Because you’ll get a balance of negative reviews and also positive reviews, if you’re a regular or a generic product, you just need that volume so that you have the social proof of it. I think that’s terribly interesting, because like you said, it’s almost like at that point you can’t solicit reviews from people. They just have to come in; good or bad. HOLLY MILLER: So that can be a hard strategy to work with, at least in terms of the tactics. You’re like, well I sent out 500 emails to all the people that bought my cell phone case, and I didn’t get that many reviews. And so that’s got to be a challenging thing to deal with on Amazon’s platform. HOLLY MILLER: Right. By reading it. Do you think the Amazon algorithm factors that in, or knows that? Like you said, because there’s the date, there’s all kind of, there’s this humanistic quality, the human factor of a review. Like you said, you can tell, potentially, you’re like, “I can smell that they’re venting and they were mad.” Or it’s an all caps. And I think that interesting. I wonder if Amazon somehow has built that into their algorithm, the subtleties of the review. What’s it called, sentiment. Yeah, like if that’s part of it. Because yeah you can tick the box and say, okay, a review was left. There were 50 reviews left, but I wonder if there’s the nuance of that … If they’re able to understand or have baked in sentiment to their algorithm using reviews, because that would be super interesting. DUSTIN RADIN: Yeah, I mean, I don’t know if they’re that sophisticated. HOLLY MILLER: Maybe we’re giving them more credit than they actually need, I don’t know. But still, that’s pretty interesting. Because it’s hard to game the system if you think, oh we need to have a ton of reviews. But reviews still seem to be a genuine thing. If someone wants to leave it and the customer is wowed, it’s like, okay, yeah they’re going to go write the review. Or if they were … If their time was taken up, or if they were just frustrated, they’re going to probably write that review as well. So interesting. 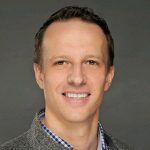 DUSTIN RADIN: In my experience working with clients, the thing with reviews, whether they’re accurate or not accurate, is that it looks easy to get them. The reality is the seller probably put years and years of hard work into getting them; there’s so much more behind the scenes. Going back to the PS4 example, it’s almost like if Google can’t find the thing you’re looking for they throw up a bunch of things that have a high probability of being a trustworthy source. I’m thinking, “why am I seeing four (organic) results from Amazon on the first page?” The only thing that ensures is that I will interact with someone who will refund my money if I’m not happy. But it’s almost like the results are catering to the lowest common denominator, you know? HOLLY MILLER: I agree. In my experience and based on some of the studies that I’ve read from Searchmetrics, a single search term is really difficult for Google to determine search intent. So you’re right, they’re going to give you whatever the lowest common denominator is for that, and potentially it’s someone looking to buy the PlayStation device, but if your intent is to purchase the console, you almost have to put in a modifier so you get what you’re looking for. Purchase intent based on “PS4” might be a smaller percentage of people than those wanting information before purchasing. DUSTIN RADIN: You’re right. You’re almost dissatisfied when you have to put in a modifier to get what you want. So you would write “PS4 versus” another gaming console. But the hardest part is that when they’ve been seeing transaction-based terms as a majority, that’s what they’re going to serve up. HOLLY MILLER: Do you think Google intentionally fills the first page with results from big brands like Amazon or Wikipedia because it considers those trustworthy? DUSTIN RADIN: Without a doubt, big brands and Wikipedia and make it hard for you to get up there. I would rather see results from a smaller shop or a smaller store who’s actually put some effort into writing some content. And yes, because they care about ranking in Google, their title tag says exactly what I’m looking for instead of having some mumbo jumbo from Amazon automated that’s probably trustworthy, but not stimulating at all, and not particularly relevant. What will search be like in 2018? HOLLY MILLER: Do you think that’s where it’s going maybe? Search in 2018? Do you think that maybe we’ll start to see things shift a little bit? DUSTIN RADIN: Maybe. Honestly, I’ve thought about this, and think we’re just going to continue going into a paid world, and I’ve wondered, where is SEO going to be? But my conclusion to that is that there is still a lot of long tail [searches], and I think that it’s almost like when you look at your analytics reports for a site, you’re usually getting traffic from long tail terms. And there’s a lot of opportunity there. Also reaching people at different stages of the buying funnel. Like awareness; I think that SEO, is where the interesting part is. And other than being in a world where everyone is moving to pay to play, including Google. Maybe they’ll change it into a directory where you can just pay, and it’s like … because they’re so desperate to keep growing their revenue annually that it’ll just become a … Google will get become a paid directory listing. HOLLY MILLER: I wonder. I wonder about that. DUSTIN RADIN: I’m obviously joking. HOLLY MILLER: What do you think is next for Google? How will they monetize the SERP? DUSTIN RADIN: I wonder, how is Google going to keep doing it? What are they going to do? They definitely have a new set of competitors now. I mean the way that I look at it is Facebook and Amazon are now on the e-commerce side. Google is under attack from Amazon and I guess you could say on the lead gen side they’re under attack from Facebook. On the organic search result pages, the interaction between Amazon listings and the brand’s own listing. Especially for a larger brand, I think that there is opportunity to take up more screen real estate. The strategy is to optimize to be visible on both Google and Amazon.